Russia and the Philippines have signed almost a dozen deals, including a defense and military cooperation agreement, days after Rodrigo Duterte cut short his Moscow visit to urgently tackle the ongoing terrorist crisis in the country’s south. Overall, Moscow and Manila signed 11 documents which had been prepared for the Philippines president’s visit to Russia. “These include a defense cooperation agreement, memorandums on cooperation in nuclear energy, trade, investment, industry, transport, culture, and arts, as well as an action program for cooperation in tourism and a plan of consultations between our foreign ministries,” Foreign Minister Sergey Lavrov said in talks with Philippine Secretary of Foreign Affairs, Alan Peter Cayetano. The ministers also discussed“enhanced cooperation” in tackling global threats, such as international terrorism, illegal drug trafficking, cybercrime and sea piracy. On Tuesday, following their meeting at the Kremlin, Russian President Vladimir Putin and his Philippines counterpart instructed their delegations to sign a number of important documents after Duterte imposed martial law and cut short his Russia visit due to the terrorist onslaught in Marawi. Duterte told Putin his country needs a reliable partner and supplier of modern weapons to fight terrorism. The issue became more pressing after Washington stopped the sale of 27,000 rifles last year, citing alleged human rights violations in the Philippines. “Of course, our country needs modern weapons, we had orders in the United States, but now the situation there is not very smooth and in order to fight the Islamic State, with their units and factions, we need modern weapons,” said Duterte. Speaking to journalists on Wednesday, Cayetano said Russia is willing to undertake “all efforts” to fulfill Duterte’s request. 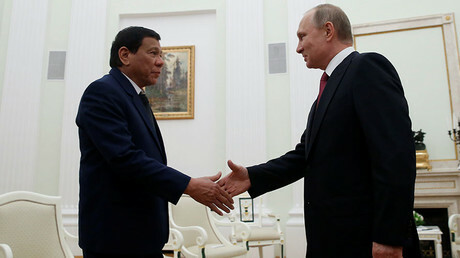 The Philippine Star also reported that during the meeting with Putin, the Philippines president allegedly asked Russia for a loan to buy arms. “These are really modern equipment that can be used to fight terrorists that will avoid injuring or causing deaths or damage or deaths to innocent bystanders or people in a community and also to prevent collateral damage,” Cayetano added. 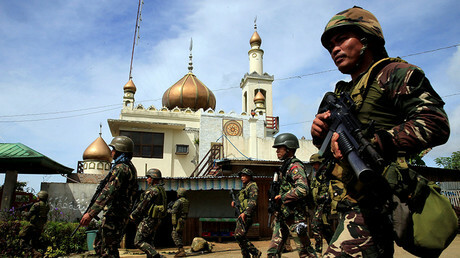 On Thursday, Marawi witnessed intense fighting throughout the day, with the military conducting surgical strikes against Maute terrorists who had infiltrated the city on Tuesday. The Islamic State-aligned group continues to hold civilian hostages after reportedly murdering at least 11 people, according to reports. 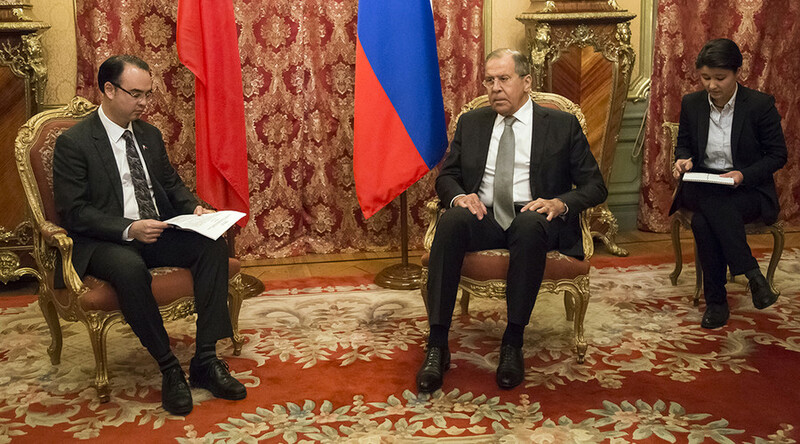 Reaffirming solidarity with the people of the Philippines, Lavrov once again expressed Russia's condolences to the families and friends of the victims of the Maute jihadists who continue to terrorize the city of Marawi.